In this episode, Don and Rob trip the night fantastic with their friend Chad and discuss the creepy subject of Horror Role Playing Games. 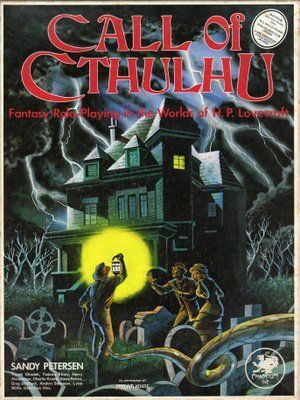 Long regarded as one of the harder types of RPGs to run, the three probe the different types of horror RPGs and do an overview of the classics of the genre. All this, and more fun than that thing creeping up behind you right now, is waiting for you in this episode of the Department of Nerdly Affairs.